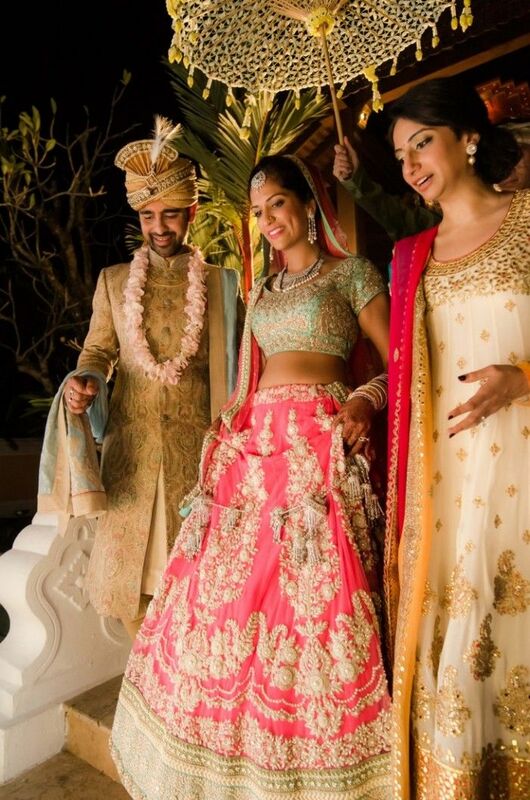 Take a look at some of the finest bridal lehengas by Sabyasachi Mukherjee and read on to know what inspires this design genius to come up with such gorgeous Indian outfits! Early this year, Soha Ali Khan, popular film actress and the youngest daughter of Sharmila Tagore and veteran cricket player Late Mansoor Ali Khan Pataudi got married in Mumbai. 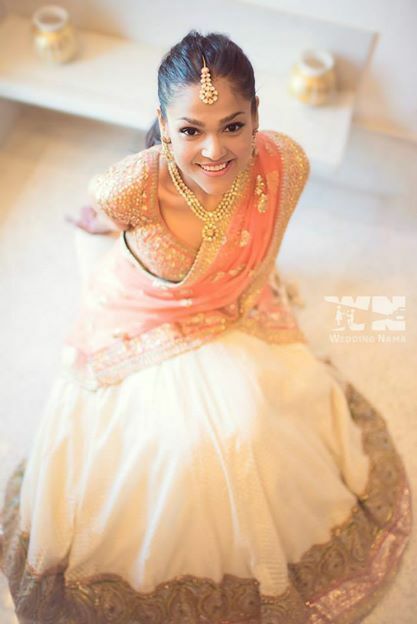 The bride looked beautiful in glistening gold lehenga. She looked stunning in Sabyasachi’s gold ensemble that was a part of his latest Opium collection launched pretty recently. Well! Who doesn’t know Sabyasachi Mukherjee? India’s famous fashion designer who graduated from National Institute of Fashion Technology in the summer of 1999 has been responsible for revolutionizing the entire ethnic fashion scene of India. Over the years, he has been able to successfully create a legacy in Indian traditional styling. Besides, Mukherjee has also been able to build a clothing brand which has a strong social outlook and overall presence. The year 2004 was an extremely fruitful year for this creative gentleman. Not only did he make his debut at Kuala Lumpur Fashion Week but was also to be the only Indian designer who was invited to be a part of the Milan Fashion Week! His label started selling internationally in 2006, right after he showcased the gorgeous Spring Summer collection’07 at New York Fashion Week. Year later, Sabyasachi participated at the London Fashion Week. The most remarkable initiative executed by any Indian designer so far is the one by Sabyasachi. The revival of old world charm of Indian’s prestigious garment. That’s right! A saree. Under the project, “Save the Saree”, on behalf of the weavers of Murshidabad, Sabya sells hand-woven Indian sarees on a non-profit basis. Besides, he has been the sole reason, why Banarsi, cotton, silk, velvet and khadi fabrics have made a major comeback. Mukherjee has also been able to contribute a lot to cinema in India. Whether it is Vidya Balan at Cannes Film Festival or Aishwarya Rai for the Bvlgari event, Sabya’s well-sorted, phenomenal Indian-ethnic designs are extremely celebrated not just in Bollywood circuit but, equally talked about amongst Hollywood stars as well. 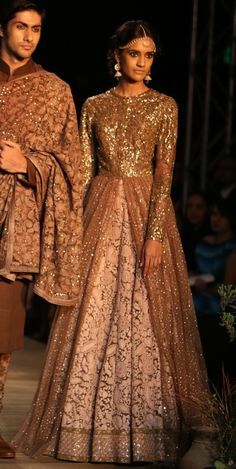 Sabyasachi draws his inspiration from Indian aesthetics. He is known to twist a piece of fabric into a piece of art. 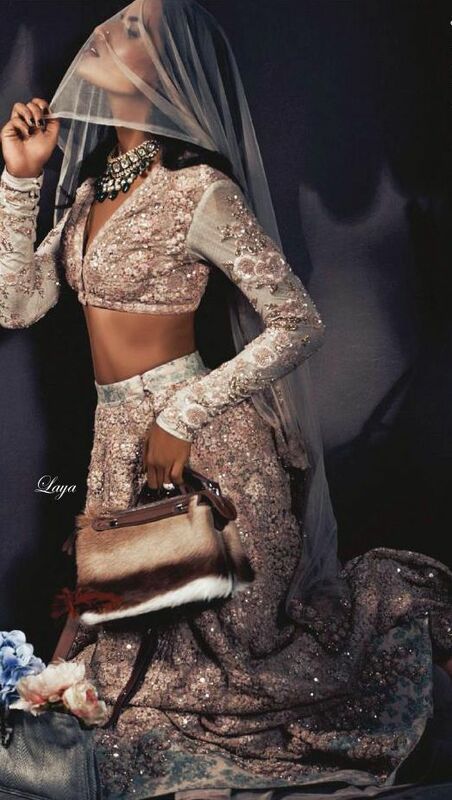 His bridal lehengas in particular, are inspired by golden period and the ancient era. Glitter and lace of 1920’s grandeur, the modern day maharani look, the royal vintage pre-independence aura or the quintessential boho-chic, intellectual Bengali rebel. These looks break all geographical boundaries. According to him, music and aroma are the 2 biggest inspirations behind his creativity. Somehow, he is able to capture and portray a reflection of Bengal through his work. It is because he lived, drank and only swallowed Bengal while he was growing up. So, it was natural for him to paint those memories in his own version. Now, there you go, you beautiful bride. Stay inspired just like the legend. Carry the charm created by Sabyasachi in a mystical way.